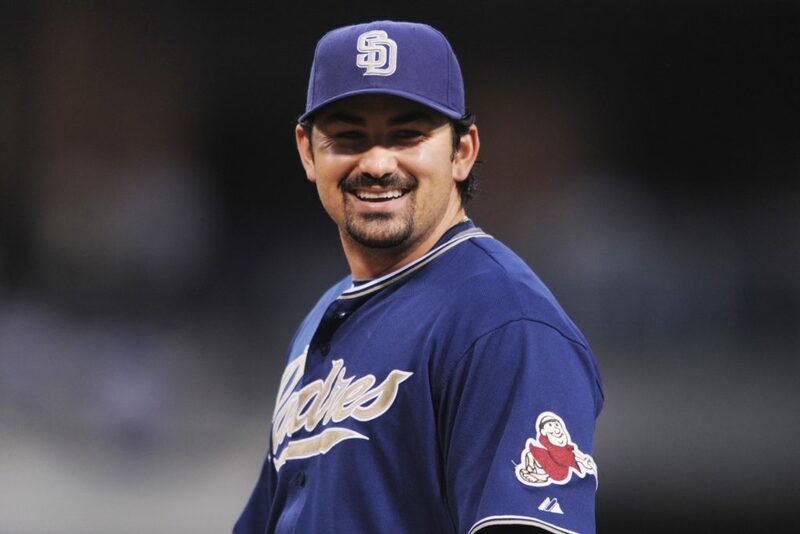 I know it really doesn’t make a lot of sense, but maybe the San Diego Padres should sign Adrian Gonzalez for one last hurrah with the team. 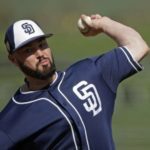 The Padres are presently in a youth movement, but having a former Padre great on the team might be a fun idea. Adrian Gonzalez is now approaching the end of his professional baseball career at 36 years old. 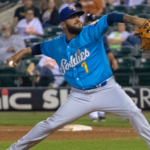 “El Titan” tried to maintain a consistent starting role for the New York Mets in 2018, but failed to do so and was eventually released on June 10. 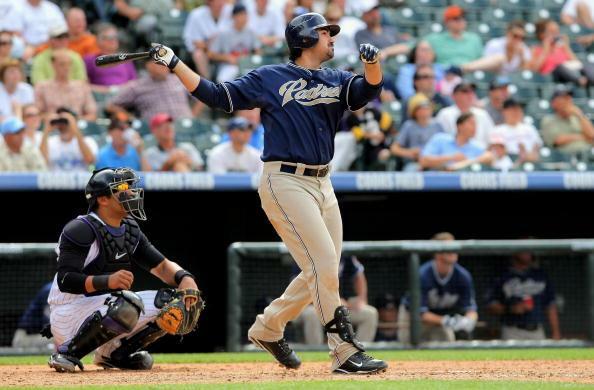 Gonzalez hit just .237/.299/.373 with six home runs, 26 RBI and a -0.6 WAR in 54 games before the Mets lost their patience. Despite these uninspiring numbers, “Agon” still has a lot to offer to an MLB organization with his wealth of experience over the past 15 MLB seasons. The Mexican-American first baseman also has the desire to keep on playing, even if that means playing in Japan, as he told the Los Angeles Times. 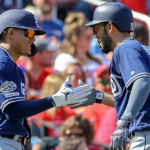 Gonzalez could become an icon in Japan like his countryman, Japhet Amador of the Rakuten Golden Eagles, but he could go for one last hurrah in MLB, and the San Diego Padres are the team that should offer it to him. It is not a stretch to say that the San Diego native is one of the greatest players to ever play for the San Diego Padres. “El Titan” smashed 161 home runs for the Friars, good for second-most in franchise history, just two behind the all-time leader, Nate Colbert. 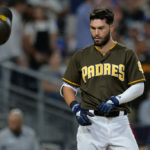 Gonzalez did become a polarizing figure for Padres fans because of his time with the Los Angeles Dodgers, but his efforts for his hometown team cannot be ignored. “Agon” is still loved by some Friar’ faithful and can serve as a mentor to some of the younger players on this team, specifically the Latino players like Luis Urias, Franmil Reyes, and Francisco Mejia. 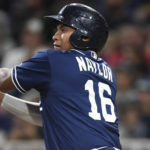 Andy Green’s team should not be competitive in 2019 and the season will likely serve as a development year for several young players. Yes, Adrian Gonzalez would be taking up a roster spot, but the Padres would be getting invaluable experience that not even the current manager has. 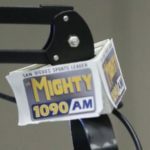 At the same time, “Agon” could be honored by the club as he breaks team records and tries to stay in the game he loves, something that the fans should be excited about. NO! Truly a dumb idea!!! He is not “nearing the end of his career” He DONE! Stick a fork in him. He is also clubhouse poison ask Boston who couldn’t wait to dump him on LA. Which by the way was one of the truly great trades in baseball history. That is exactly what we need, another 1st baseman, isn’t Hosmer and Myers enough. If you are already writing off the 2019 season prior to off season trades and spring training, I suggest you have let your personal feelings about one particular player cloud your judgement. 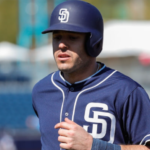 Don’t get me wrong, I am not singing World Series praise or hopes on the Padres, but I am singing, let us see what they can do given the best opportunity in 2019 (which does not include a player that cannot stay in the league due to being a little long in the tooth, heck let’s sign Weaver again!). That is the worst idea I ever heard of and by the way Adrian Gonzales is not one of the greatest Padre players, he left the team for more money. The late Tony Gwynn, who could have left the team for more money but didn’t was the greatest player to wear a Padre uniform! I like the earlier idea of Agon as a hitting coach. His professional career is essentially over. Until age crept in his hitting approach was solid. He speaks Spanish and English, he grew up in CV/TJ and he probably has a bigger axe to grind with the Dodgers than anyone of us. I see potential and motivation. Bring him back but only as a hitting coach/ambassador of the Padres. I don’t understand this at all, he can’t play anymore. If you want to have him mentor young players make him the hitting coach. We have one terrible first baseman already, don’t need another. Maybe the worst idea I’ve ever seen on EVT. Oh, Hell No! He was a cancer in the clubhouse. We dont need him to infect the Padres youth with his poor attitude. Just watch the way he rarely ever hustled out a grounder. The days of Adrian as a Padre are, and should ever be, a distant memory. He was a GOOD player for the Padres for a few years, but no where in my definition of GREAT. No. When he left we said our goodbye to him.